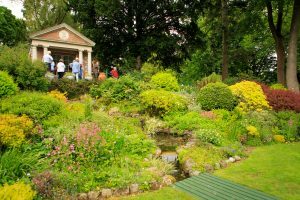 Lord Langford hosted guided tours of their spectacular garden to launch the 2018 Festival of Gardens North Wales last Saturday 2nd June. 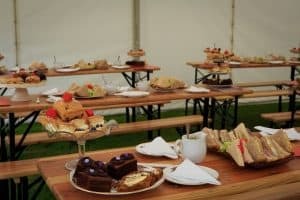 Bodrhyddan Hall was open on the launch day, June 2, from 2-6pm with house and garden tours, and afternoon tea. Visitors were welcomed by Lord Langford, Owain Rowley Conwy, who succeeded his war hero father, the 9th Baron Langford, who passed away last November at the age of 105. He and his son Tom Rowley Conwy, were honored that Bodrhyddan Hall hosted the launch 2018 event and was excited to open the garden he so loved as a child to so many members of the public. At Bodrhyddan the parterre had been planted up with seasonal bedding including eye-catching begonias which offered an unmissable splash of colour. 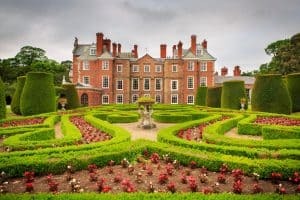 It has been the seat of the Langford family for 500 years, though its design has been significantly changed and extended over the centuries. 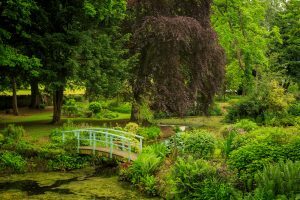 The beautiful gardens included luxuriant lawns, an extensive pleasance, waterfall and lily pond, and ornamental flower beds designed by renowned architect William Eden Nesfield during the Victorian era.